Whether it's simple brackets or a complex Porsche racing intake system, we have the experience and equipment necessary to take a project from concept to completion. We're also commmitted to staying current with the tools of the trade. 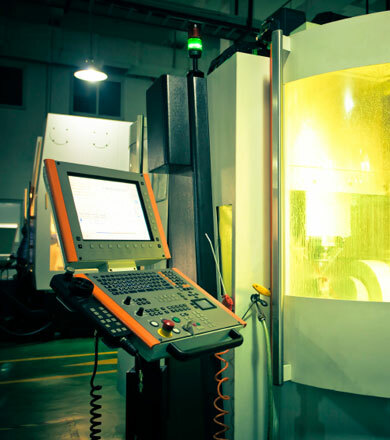 Currently, this involves two vertical mills with full 5-axis capabilities as well as current maintenance contracts for all industry standard software used for engineering, design, analysis, and CNC programming. We adhere to an ISO 9001 based quality system that ensures traceability, accountability, and consistently hitting the quality requirements of our customers. This system includes provisions for audits, tool calibration schedules, and inspection requirements for delivered products.